Johnny headlines first night: A great festival is happening in Ohio on Friday and Saturday, June 19-20. The best part? It's free. Read all about it right here. On the road: Johnny is winding down his European swing with dates in Denmark, Finland, Sweden and Norway. His next U.S. show will be a sold-out performance on Wednesday, June 17, at The Ark in Ann Arbor, Michigan, followed by a gig at Durty Nellie's in Palatine, Illinois, on Thursday, June 18. Other upcoming shows include the Lexington Music Theatre Company in Lexington, Michigan (Saturday, 6/20); The ArtsCenter in Carrboro, North Carolina (Friday, 6/26); and the Neighborhood Theatre in Charlotte, North Carolina (Saturday, 6/27). Johnny will also appear at Virginia Beach Sandstock in Virginia Beach, Virginia (Sunday, 6/28); the Waterfront Blues Festival in Portland, Oregon (Friday, July 3); and the SaskTel Saskatchewan Jazz Festival in Saskatoon, Saskatchewan (Sunday, July 5). Johnny through the years: On Tuesday (5/26), Shout! 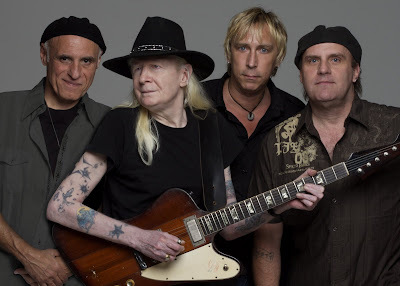 Factory will release The Johnny Winter Anthology, a two-disc, 35-track collection that spans Johnny's entire career and includes tunes like "Rock and Roll, Hoochie Koo," "Still Alive and Well" and "Silver Train." Click here to view the complete track listing. Take a few minutes to imagine a 130-pound, cross-eyed albino bluesman with long fleecy hair playing some of the gutsiest blues guitar you have ever heard, effused a Rolling Stone cover story in December 1968, in an overview of Texas music focused on Austin, where RS had run across 24-year-old blues dynamo Johnny Winter and his trio ripping up a local club. Johnny’s first taste of national publicity ran to just three short paragraphs, but they would nonetheless alter the then-struggling electric blues flash’s life forever. In fact, within a year Johnny would be one of the top concert draws in America. But while the lanky albino blues rocker from Beaumont seemed like an overnight sensation to throngs of newfound fans on both sides of the Atlantic, Winter had already toiled the better part of a decade to get there. This anthology’s opening track, “Rollin’ And Tumblin’” displays the blues ferocity RS had run across in Austin. Backed by drummer John “Red” Turner and bassist Tommy Shannon (who’d play the same role in Stevie Ray Vaughan’s own Texas trio a decade later), Winter’s snarling voice and aggressive, wildly expressive playing rebuffed the British Invasion’s claim on American blues with a vengeance. Recorded at the (apparently empty) Vulcan Gas Company club for indie Sonophone, The Progressive Blues Experiment established the template for subsequent Winter triumphs that carried him far beyond his humble Southern origins. Woodstock revisited: June 30 will mark the release of a special (and long overdue) piece of music history -- Johnny's complete Woodstock performance. 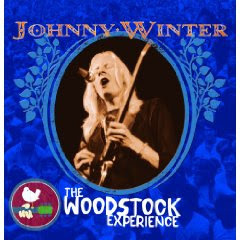 Johnny Winter: The Woodstock Experience is finally seeing the light of day thanks to Legacy Recordings and Woodstock Ventures (www.woodstock.com), which will also release sets from the fabled 1969 festival by Jefferson Airplane, Janis Joplin, Santana and Sly & the Family Stone. 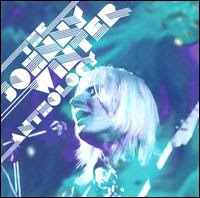 Johnny's release will be a double-disc offering that features the original Johnny Winter album, along with a second disc with his complete Woodstock performance (and seven previously unreleased cuts)! The eco-friendly, all-paper package will be an individually-numbered collector's edition featuring a 16 x 20” poster of Johnny captured in performance. Johnny in Europe: Tonight he'll play a show in Switzerland, then he'll be off until Thursday (5/21), when he begins a run of nine performances in the U.K. before hitting Denmark, Finland, Sweden and Norway. For a complete list of Johnny's current tour dates, click here. 40 Years of Johnny: Click here for a great recap of Johnny's life and times by Jerry McCulley of Gibson.com.